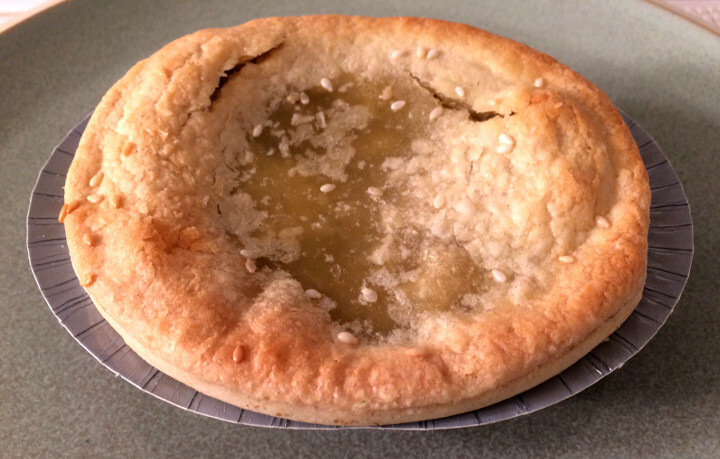 Chicken is a staple ingredient of pot pie, which means a lot of frozen pot pies aren’t vegetarian friendly. 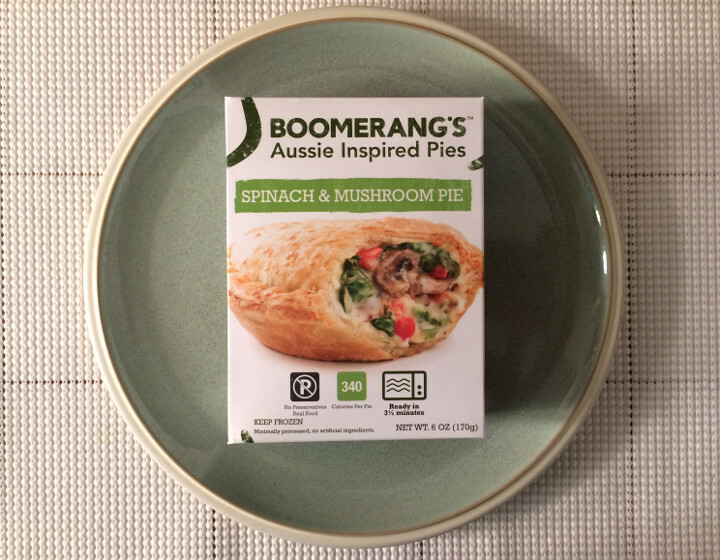 If you’re craving some pot pie, but would prefer to avoid meat, Boomerang’s has you covered. While they do have chicken pot pies in their lineup, they also have a fantastic Spinach & Mushroom Pie. When we first cut into this dish, we weren’t sure about how to feel. The filling definitely didn’t look like it did on the box. However, when we bit into the pie, all our fears went away. Everything about this pie, from the crust to the filling, is fantastic. The mushrooms used in the dish are thick and meaty. Even a meat-eater should be satisfied with this filling. The baby leaf spinach tastes incredibly fresh, and the other ingredients, like the red bell peppers and Monterrey jack cheese, are also full of flavor. The pie crust doesn’t taste like something that came out of a freezer. 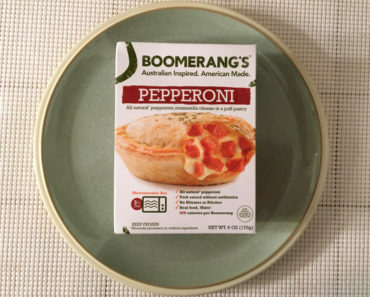 It’s flavorful and flaky, even when you heat the pie up in the microwave. You don’t need a knife; your fork will slice right through the crust. 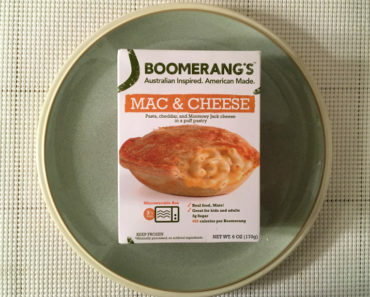 We were initially worried about the high calorie count of this pie; 340 calories is a lot for such a small dish. 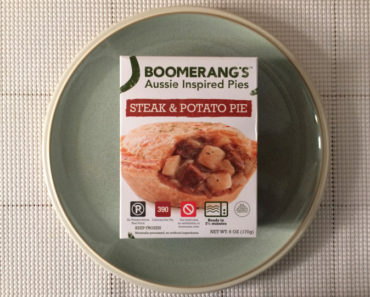 Thankfully, the pie is very filling. It’s more than enough for a standalone meal. 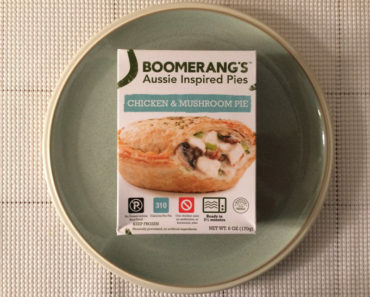 If you love pot pie and mushrooms, you’re going to love this Boomerang’s dish. It’s easy to make and even easier to eat. 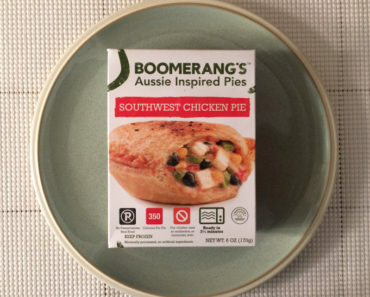 For more information about this pie’s ingredients and nutritional content, check out our scans below.